As you can imagine, a wide variety of rack PDU configurations is available based on parameters such as: number of phases, voltage, total amps, branch circuits, number of outlets, socket type, plug type, rack units consumed, and physical dimensions. Beyond the functions of the basic rack PDU, additional capabilities are available in rack PDU categories, we call metered, switched, and intelligent. Furthermore, if you cannot find an off-the-shelf rack PDU that matches your specific requirement, some vendors will assemble or even design a custom rack PDU (also called BTO/ETO: built-to-order/engineered-to-order). 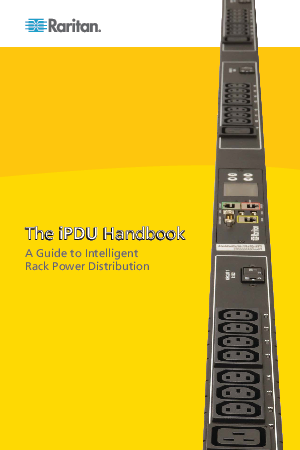 In the following sections we will discuss the basic concepts, considerations and approaches in designing, selecting and deploying the appropriate rack PDU for typical data center applications. We will describe not only the basic ingredients for delivering adequate, reliable power to the rack, but also the factors and best practices that will contribute to a reliable, operationally efficient and environmentally sound data center for today and for the future.